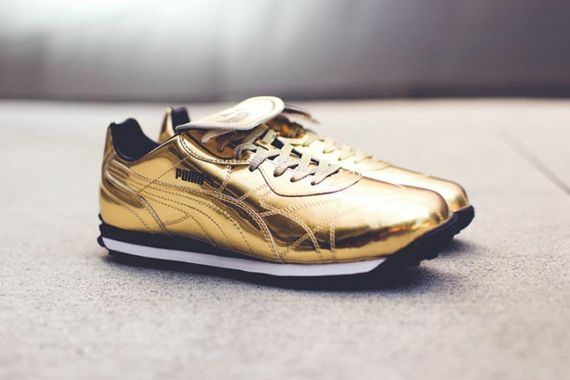 Puma Avanti - "24 Karat Gold"
For those who like their shoes like gangsters like their teeth, I think we’ve found the kicks for you. 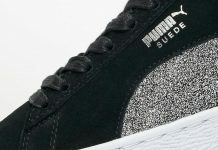 Puma has updated their Avanti silhouette (formerly known as Prince the King) with a metallic gold upper dubbed, aptly, “24 Karat Gold”. The shining kicks feature a Tiempo-esque fold-over tongue as well as black and white detailing, giving these a rich feel that will still be wearable. 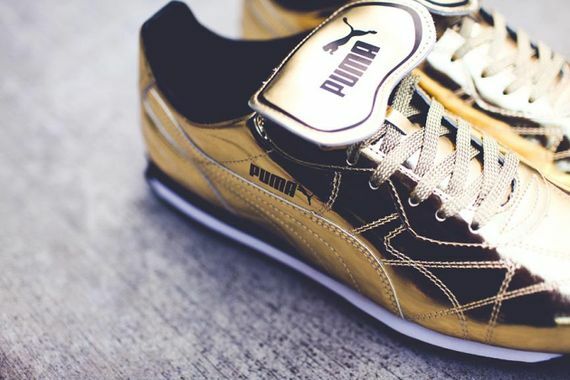 If you’re feeling bold or just need something to match your metallic gold tracksuit grab yourself a pair at Puma retailers starting August 8th.